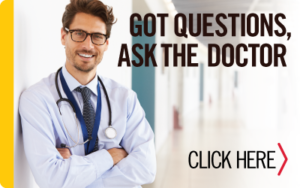 Do you really want to be heard and have an impact on the issues that affect men’s health with regard to Peyronie’s disease? One of the best ways to do this is to write a letter to your elected officials who make (or change) the laws governing health issues. What better way to learn how to write a congressman than from a congressman! Below is an article published by Congressman Morris Udall, longstanding member of the U.S. House of Representatives. Congressman Udall’s article provides invaluable insight to the things that “turn on” and “turn off” elected officials when they receive letters from their constituents (YOU). Currently there is a bill in committee to create an Office of Men’s Health. It has been tabled and no action has been taken on it. 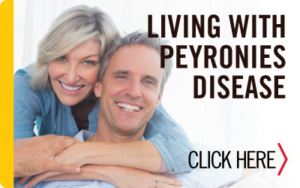 The NIH, along with many other funding organizations, views Peyronie’s disease as a condition of lesser importance, because it is not a terminal or life threatening illness. Efforts to obtain research funding have been turned down. 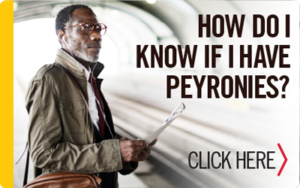 If we are to be effective in our efforts concerning how Peyronie’s disease is viewed and funded, use Congressman Udall’s advice in writing to your state and federal elected representatives! Surprisingly few people ever write to their United States Senators or Congressional Representatives. Perhaps ninety percent of our citizens live and die without ever taking pen in hand and expressing a single opinion to the people who represent them in Congress. This reluctance to communicate results from the typical and understandable feeling that legislators have no time or inclination to read their mail, that a letter probably won’t be answered or answered satisfactorily, that one letter won’t make any difference anyway. Based on my own experience, and speaking for myself at least, I can state flatly that these notions are wrong. Today, with the staggering problems of government and increasingly long sessions of Congress, Senators and Representatives must not only vote on many more issues than early-day members, but rarely get to spend more than sixty days in their districts. Thus, their mailbags are their best “hot lines” to the people back home. Identify the bill or issue. About 20,000 bills are introduced in each Congress; it’s important to be specific. If you write about a bill, try to give the bill number or describe it by popular title [“Organic Act,” “Toxic Substances Bill,” etc. ]; The Letter should be timely. Sometimes a bill is out of committee, or has passed the House before a helpful letter arrives. Inform your representative while there is still time for him or her to take effective action. Concentrate on your own delegation. The Representative of your district and the Senators of your state cast your votes in the Congress and want to know your views. Be reasonably brief. Every working day the mailman leaves some 150 or more pieces of mail at my office. Tomorrow brings another batch. All of this mail must be answered while I am studying legislation, attending committee meetings and participating in debate on the House floor. I recognize that many issues are complex, but your opinions and arguments stand a better chance of being read if they are stated as concisely as the subject matter will permit. It is not necessary that letters by typed – only that they be legible; the form, phraseology and grammar are completely unimportant. Whatever form your letter takes, I would suggest the following “do’s” and “don’ts”. Write your own views – not someone else’s. A personal letter is far better than a form letter. Form letters often receive form replies. I usually know what the major lobbying groups are saying, but I don’t know of your experiences and observations, or what the proposed bill will do to you and for you. A sincere, well thought out letter from you can help fill the gap. Give your reasons for taking a stand. Statements such as “Vote against H.R. 100:I’m bitterly opposed” don’t help much, but a letter which says, for example, “I’m a small hardware dealer, and H.R. 100 will put me out of business for the following reasons…” tells me a lot more. Maybe I did not know all the effects of the bill, and your letter will help me understand what it means to an important segment of my constituency. Be constructive. If a bill deals with a problem you admit exists, but you believe the bill is the wrong approach, tell me what the right approach is. If you have expert knowledge, share it with your Congressional Representatives. I cannot possibly be an expert in all fields. I welcome your advice and counsel. Say “well done” when it is deserved. Members of Congress are human, too, and they appreciate an occasional “well done” from people who believe they have done the right thing. But even if you think I went wrong on an issue, I would welcome a letter telling me you disagree. Don’t make threats or promises. Members of Congress would rather know why you feel so strongly about an issue. The reasons may change their minds; the threat probably won’t. Don’t pretend to wield vast political influence. Write your Senators or Representative as an individual, not as a self-appointed spokesperson for your neighborhood, community or industry. Don’t become a constant “pen pal”. I don’t want to discourage letters, but quality, rather than quantity, is what counts. Write again and again if you feel like it, but don’t try to instruct your Representative on every issue that comes up. it is painted red, white and blue and it reads “U.S. Mail”. Disclaimer: The reprinting of Congressman Udall’s article in no way implies his support of /or association with this organization or his views on the subject of Peyronie’s disease. It is informational only.